No Appointment Needed, Now Offering Flu Shots at our Brighton and Northglenn locations. Stay healthy this winter, together! Everyone age 6 months and older needs to get a flu shot (vaccine) every year. The seasonal flu vaccine is the best way to protect yourself and others from the flu. The flu spreads easily from person to person. When you get the flu shot, you don’t just protect yourself – you also protect everyone around you. The flu is caused by viruses that infect your nose, throat, and lungs. It’s easily spread from person to person. Am I at high risk for complications from the flu? For some people, the flu is more likely to cause serious illness that can lead to hospitalization or even death. If you are at high risk from the flu, it’s especially important to get the vaccine before flu begins to spread in your community. If you spend time with someone at high risk from the flu, you can protect both of you by getting a flu shot. When do I need to get the seasonal flu shot? 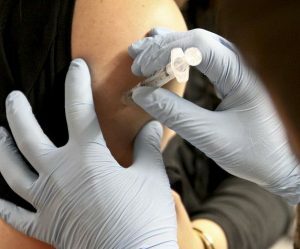 Get the flu shot soon after it’s available each year. After you get the vaccine, your body takes about 2 weeks to develop protection against the flu. That’s why it’s a good idea to get the vaccine before flu starts spreading in your community. Flu season is different from year to year. It can start as early as October and last as late as May. Are there any side effects from the seasonal flu vaccine? Most people don’t have any side effects after getting the flu vaccine. Some people may have mild side effects. These side effects begin soon after the vaccine is given and usually last 1 to 2 days. These side effects aren’t the flu. People who get the flu shot may feel achy or have a sore arm where the shot was given. You can’t get the flu from the flu shot because it’s made from killed flu viruses. If you are sick, stay home for at least 24 hours after your fever is gone. Try not to touch your nose, mouth, or eyes. If you get sick with the flu, your doctor may prescribe medicines called antiviral drugs. Antiviral drugs can help you feel less sick and shorten the time you are sick. 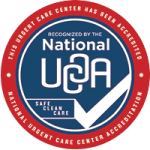 For more information contact Advanced Urgent Care & Occupational Medicine in Colorado at 303-659-9700.